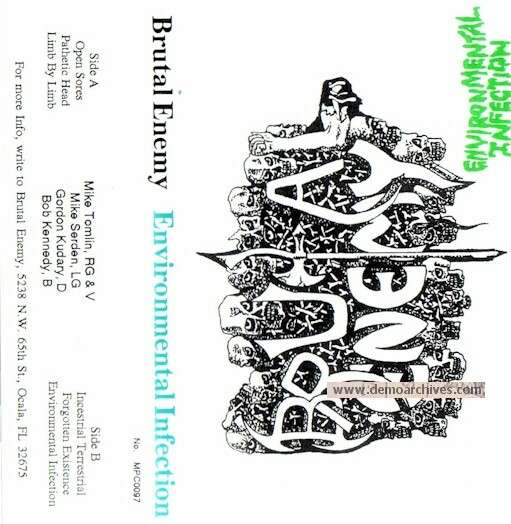 Death metal band from Ocala, FL formed in 1990. Members were Mike Tomlin - Vocals, Guitar,Mike Serden - Guitar, Bob Kennedy - Bass, Gordon Kudary - Drums. Pro printed covers. Recorded onto studio tapes.